In income tax calculation, a write-off is the itemized deduction of an item’s value from a person’s taxable income. Thus, if a person in the United States has a taxable income of $50,000 per year, a $100 telephone for business use would lower the taxable income to $49,900. If that person is in a 25% tax bracket, the tax due would be lowered by $25. Thus the net cost of the telephone is $75 instead of $100. That’s why we’re officially inventing Write-Off Week™ at 9to5Toys, one place to find the best deals on tech, office supplies, travel gear, and everything else you’ll need to keep your small – large business running over the next year. 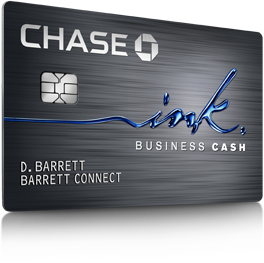 Before we get started, if you don’t already have a business credit card to make your purchases, you’ll probably want to get the INK Cash business card from CHASE. Just making your business supplies with the card will get you 5% cash back and you’ll get a bonus $200 cash back in the first 3 months if you spend $3000. Control anything you have plugged in from your iPhone with iHome’s Siri-Controlled HomeKit Smart Plug ($36), or ConnectSense HomeKit SmartOutlet ($80). And grab at least a few Belkin SurgePlus 3-Outlet Swivel Chargers w/ Dual USB Ports ($15). Get started with smartphone controlled lightning with Phillips Hue Starter Kits ($199), or something different with the Nanoleaf Ivy HomeKit bulbs made from foldable printed circuit boards. Canary’s All-In-One security system features top of the line camera specs and built-in air quality, humidity, and temperature sensors (On sale for $179 or $350 for a 2-pack). Canary offers a free plan with streaming and video history and paid plans if you want a more complete security setup. Compare with Google’s Nest Cam ($176), a basic security cam that offers always-on streaming and video history with slick mobile and web apps on competitive monthly plans. Fellowes M5-95 Laminator with Pouch Starter Kit (M5-95) $17.99 and AmazonBasics 6-Sheet High-Security Micro-Cut Paper and Credit Card Shredder ($39.99 — 20% off, within $1 of all-time low). Spoil your employees with the unbeatable Aeron Task Chair by Herman Miller (as low as $630), upgrade yourself to an Embody by Herman Miller (starting at $1044), or go with one of these inexpensive, best-selling workhorses from AmazonBasics: Mid-Back bonded leather ($64.99), Mid-Back Mesh ($69.99), Mid-Back Mesh Swivel ($102). Grab some of these waterproof, roll-up sleeves ($10) and velcro cable ties for organizing cables at the office or on the road. A must have for in the office. iFixit’s ultimate toolkits give you everything you need for gadget repairs and more. Check out iFixit Pro Tech Toolkit 2016 Edition ($80), or the iFixit Repair Business Toolkit + iFixit Pro ($280). Or the company’s other toolkits on Amazon. Or get $10 off iFixit tools (over $20) with code ELF-4DHNZBQW. Stay healthy while in front of a screen all day by transforming your current desk into a standing desk for as low as $35 with the iCraze adjustable vented, laptop table, or go for the full-on, height-adjustable standing desk setup with this $350 option from Varidesk. Want a more heavy-duty conversion? Check out the X-Elite PRO height adjustable sit/stand desk ($289).